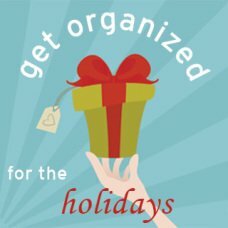 When you declutter and organize intentionally with your ideal life in mind, you make organizing and achieving your goals an easier and more enjoyable process. Get started today with this downloadable mini-guide. In Declutter to Make Room for a Better Life, you will find practical yet powerful information you can use to take steps in the direction of your better life—all by tapping into the power of decluttering. My name is Aby Garvey. 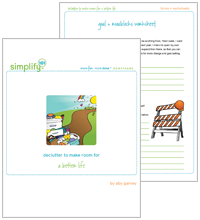 I’m a professional organizer and the founder and co-owner of simplify 101. 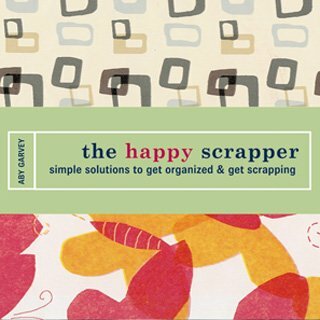 Our mission is to help you get organized, so you can make room for a better life. In Declutter to Make Room for a Better Life, I’ll share techniques and ideas I use in my own life to continually make it better. You’ll learn about the incredible power of combining two of my favorite activities—intentionally deciding what you want your future to look like and decluttering in support of your life vision. When you declutter and organize intentionally with your better life in mind, you make organizing and achieving your goals an easier and more enjoyable process. It is easier to let things go when you know exactly what you are making room for, and it is easier to achieve your goals when your environment is clutter-free and supports you every step of the way. This process is energizing and will solidify your commitment to your goals in a whole new way. You will learn how to uncover and remove the roadblocks that are standing between you and your better life. 14 pages of rich content, 3 worksheets, plus a printable binder cover and spine. 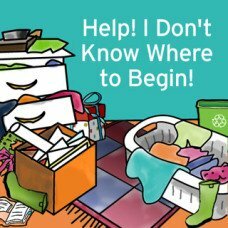 A decluttering + organizing project list to help you organize and take action on the concepts in this guide. A goal + roadblock worksheet to help you pinpoint the obstacles in your path, and help you determine how to overcome them. A what is your stuff saying to you worksheet that clarifies whether your environment is helping or hindering you in reaching your goals. Delivery method: Instant download PDF file. View a sample of this download. Learn how to get into action so you can take steps in the direction of your better life. Find out how decluttering with intention cements your desire to improve your life and make your goals happen. Learn how to create an environment that supports you so you can achieve your goals even more quickly. 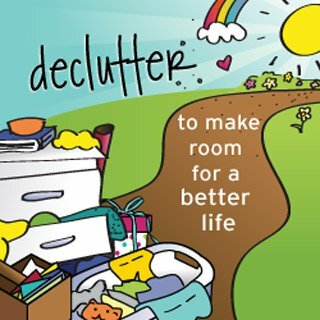 Understand the difference between decluttering and organizing, and how decluttering creates room for your better life. Learn how to use a super-simple and effective technique to identify the obstacles standing between you and your goals. Get specific, actionable examples on how to tap into the power of decluttering and break down the barriers to common goals such as weight loss, exercise, relationships, career, and finances.